Can A Vinyl Fence Prevent Pests? Maybe you plant vegetables in your backyard. Maybe you have some prized flowers you want to protect. Perhaps you just want to keep neighborhood dogs away. Regardless of your reasons, it can be tough to keep animals out of your yard. Could a vinyl fence be the answer to your animal woes? 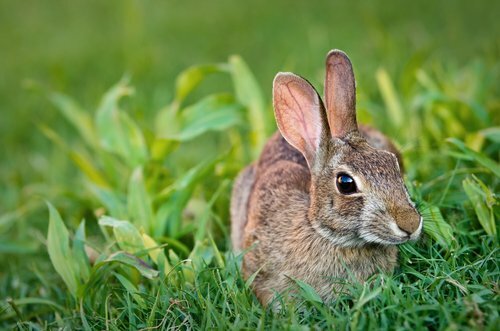 Rabbits – Rabbits are common in neighborhoods, especially if your area has a vacant lot or grassy field nearby. They’re proficient diggers and very persistent at getting into yards. Gophers and Moles – These persistent diggers can be hard to spot since they are primarily active underground. Raccoons and Opossums – Both of these animals are excellent climbers and can be difficult to keep out of a yard. They’re often attracted to fruit and vegetable gardens as well as garbage cans or compost piles. Neighborhood Animals – Along with wild animals, neighborhood pets like dogs and cats can also cause problems in your yard. So if you’re having trouble with any of these pests, could a vinyl fence be a solution? Vinyl is actually a great option for keeping animals out of your yard. Unlike many other fence types, vinyl combines durability with great looks to protect your yard in many ways. First, vinyl is durable. This can be a key factor in keeping animals out of your yard, especially larger animals that could potentially do damage to your fence. Vinyl fences are extremely strong and impact-resistant, making them excellent for animal protection. Second, vinyl fences can be built very tall to help avoid jumping and climbing animals. While 6 feet is the standard height for vinyl fence, we’ve built vinyl fences that are 12 feet high. This is more than tall enough to prevent jumping animals from getting into your yard. Along with being hard to jump, vinyl fences are also harder to climb than other fence types. Vinyl is smoother than wood and doesn’t have as much traction for animals’ claws or feet. That makes it harder for pests like raccoons, squirrels, and neighbors’ cats to climb onto. Finally, vinyl lasts longer than other fencing materials. Unlike a wooden fence, a vinyl fence can potentially last for decades. Vinyl is also not susceptible to rot, fading, or damage from insects like termites, ants or carpenter bees. Netting or Webbing – Nets and webs make a good supplement to a vinyl fence. You can use fence netting in many ways, such as a supplemental fence around your garden or for an additional barrier against climbing animals. Digging Boards – To protect against digging animals like rabbits, gophers or dogs, you can place underground digging boards below your fence. These protective barriers will prevent animals from tunneling beneath your fence. Electric Wire – For serious pest prevention, you can add an electric wire to the top or inside of your fence. You’ll need to install a dedicated circuit to power the wire, but you’ll get the highest level of protection as a result, even from large pests like deer. Be Careful Not to Separate Families – Often animals enter yards to look for a place to build a home. Be careful when you exclude animals from your property that you aren’t cutting a mother off from her babies. Set Up a Camera and Monitor – Not sure how animals are getting into your yard? Need to know what type of pest you’re dealing with? A camera and monitor can be a good way to find out what you need to know. Want the highest quality fence to keep pests out of your yard? Contact us today at Future Outdoors. We build vinyl fences in Dallas and the surrounding metro for homes and businesses. Call us today at 972-576-1600 to learn how we can help you, or visit our Facebook page to get more tips and advice.